MCW has released its Annual Report (2017/18) considering developments relating to the arrest and detention of children by the Israeli military in the West Bank in 2017 and 2018. In addition to reviewing relevant legal and procedural changes the report considers the findings from 114 testimonies obtained from children detained during 2017. The report also considers the unlawful transfer of prisoners. This report reviews the findings from 29 affidavits taken from children arrested by the Israeli military in the West Bank in 2017. The affidavits focus on the children's arrest, the hours between the arrests and their interrogation, and the interrogations themselves. The affidavits portray a grim picture: following their arrest in the middle of the night, the minors are taken, alone, on an exhausting night-time journey. This report covers human rights during 2017. After referring to UNICEF's 2013 finding that ill-treatment of children in Israeli military detention appears to be "widespread, systematic and institutionalised", the State Department referred to recent reports indicating that this conclusion is still valid. For the first time the State Department has deleted references to "Occupied Territories" in relation to Palestinian territory. 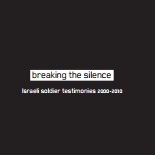 Soldiers, from the Second Intifada up until 2017, share their testimonies in a new booklet: "Why I broke the silence.” What all of these soldiers have in common, despite serving at different times, in different units, and across different parts of the Occupied Territories, is the drive to fight against silence. 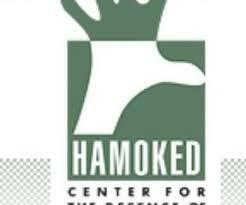 Their shared commitment to expose the violent daily conduct of the occupation. This report summarises the preliminary examination activities conducted by the Office of the Prosecutor of the ICC between 1 October 2016 and 30 November 2017. During the reporting period the Office continued its preliminary examinations into the situations in 10 locations including Palestine. According to the Prosecutor "The Office has made significant progress in its assessment of the relevant factual and legal matters." This report highlights global trends regarding the impact of armed conflict on children in 20 locations, including Israel and Palestine. In 2016 there was an increase in the number of Palestinian children arrested and detained by Israeli forces and prosecuted by juvenile military courts in the West Bank. The UN documented a total of 185 incidents of ill-treatment of children by Israeli forces during arrests and detention. This report considers developments relating to the detention of children by the Israeli military in the West Bank in 2016/17. In addition to reviewing relevant legal and procedural changes the report considers the findings from 127 testimonies obtained from children detained during 2016. The report also considers: unlawful transfer of prisoners; dual legal systems; and the link between detention and settlements. This report covers human rights abuses during 2016. After referring to UNICEF's 2013 finding that ill-treatment of children held in Israeli military detention appears to be "widespread, systematic and institutionalised", the State Department referred to recent reports indicating that this conclusion is still valid in 2016. The State Department also noted that most Palestinian prisoners continue to be detained inside Israel. 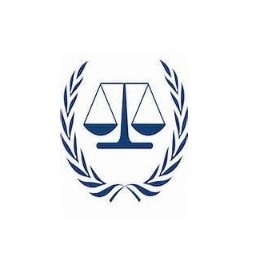 This report summarises the preliminary examination activities conducted by the Office of the Prosecutor of the ICC between 1 November 2015 and 30 September 2016. During the reporting period the Office continued its preliminary examinations of the situations in Afghanistan, Colombia, Guinea, Iraq/UK, Nigeria, Palestine, Ukraine and respecting the Registered Vessels of Comoros, Greece and Cambodia. This submission reviews recent developments in the military courts as well as analysing 393 testimonies collected from children detained by the Israeli military since 2013. The submission concludes that despite a number of changes to the system, UNICEF's 2013 finding that "the ill-treatment of children who come in contact with the military detention system appears to be widespread, systematic and institulionised" still applies.